All ICA members I’m sure will want to wish PJ Wilson a long and happy retirement. Our immediate past Pres left the employment of Dumfries & Galloway Council today after over 40 years looking after the roads network. You can see from these two photos what spending that length of time filling in potholes does to you. Anyway, we can expect to see him using the free bus services for pensioners to attend ICA bonspiels from now on. Can anyone tell him where the nearest bus stop to Greenacres is? 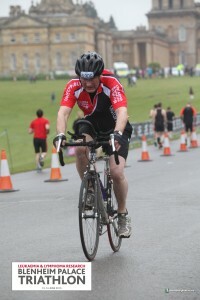 Just a quick postscript to the Blenheim Palace Triathlon that I participated in this summer. A huge thank you to everyone who supported us both by message and donation. The Three Shades of Gray, (my sister Kathy, brother Ian and I) managed to raise over £10,000 in aid of Lymphoma and Leukaemia Reasearch due to the unbelievable generosity of those who donated. The day was cold and wet which didn’t make for a particularly pleasant experience but the scale of the event was staggering and it was great to be part of it in a stunning location. We managed to finish 194th out of 259 in our race which was pretty good for three novices. I took great heart from the fact that the majority of the cyclists who overtook me (and there were many) were all about half my age!! We have already wondered if we could improve on that next year………….A bit more training required methinks. Watch this space. Now for some sedate games of curling over the winter. The Irish Ladies team commenced their European C Division warm up by getting together at the Stirling Summer Skins held at The Peak this weekend (31 July – 2 August). 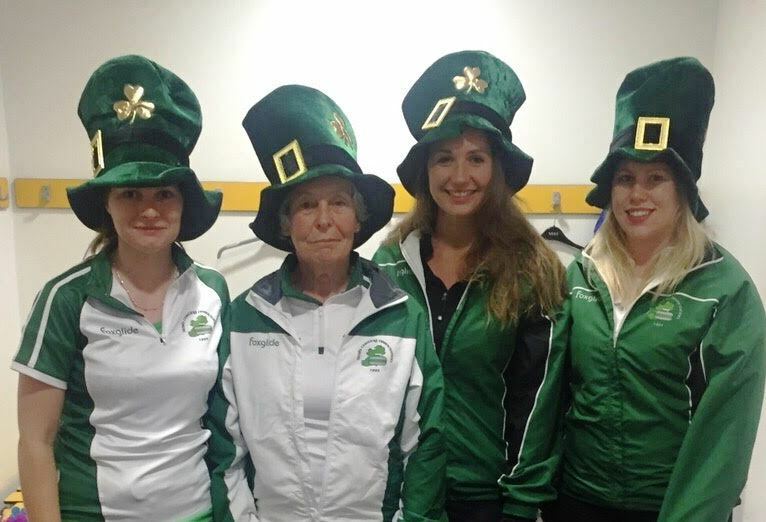 After a good but rather unfruitful start against the eventual tournament runners-up, the team of Alison Fyfe, Ailsa Anderson, Hazel Gormley-Leahy and Clare McCormack (Katie Kerr was unavailable due acting commitments in New York) returned with two solid wins on Saturday morning. The final game of the day was a very close affair with some brilliant shots being played, most notably a double takeout and freeze in the fourth end by Skip, Alison. Unfortunately, the opposition took the big money, final end and the win. 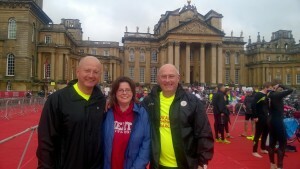 The Skins were great fun and thoroughly enjoyed by the team. On the whole a good, solid start to the ladies campaign. The ladies wish to thank all of the ICA supporters, including Coach, Martin Sutherland for coming out to cheer on the team.